Located in the Pacific Box & Crate development at 1505 King Street Extension, less than a mile from Edmund’s Oast, the new production brewery and taproom/restaurant opened in late summer 2017. 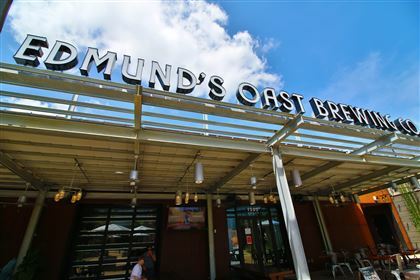 The 20,000-square foot Edmund’s Oast Brewing Co. will produce a variety of beers packaged in cans, bottles, and kegs for wide-reaching wholesale. Once in full operation, the brewery will sport over a dozen EOBC beers on tap and regularly can a number of offerings. Click here for additional info.